The EU is struggling to maintain a united front towards China ahead of the 21st bilateral EU–China summit on 9 April. After the Commission labelled China a “systemic rival” for the first time, France has stepped up the calls for a common EU strategy and an alignment of vision towards China. But while President Macron staged a “mini-summit” with Angela Merkel, Jean-Claude Juncker to Paris and China’s Xi Jinping on Tuesday (26 April), the Italian government was busy signing a bilateral investment deal as a part of the global power’s controversial Belt and Road Initiative (BRI). The EU’s slow departure from its usual soft stance towards Beijing is a welcomed step despite having so far gained limited attention beyond the Franco-German axis. Alongside Italy, 12 other EU members have signed a memorandum of understanding with China on BRI. Chinese foreign direct investment (FDI) in Europe has risen rapidly over the past decade. Last year Chinese companies completed FDI transactions worth over eight times the 2010 numbers (from €2.1 billion to €17.3 billion). During the record year of 2016, Chinese firms completed investments worth €37.2 billion in the EU. This year, China’s trade conflict with the United States has already prompted growing Chinese interests towards Europe, as highlighted by Xi’s European tour. China’s recent €2.5 billion memorandum of understanding with Italy, which marks the first time a G7 economy has signed up to the BRI, could grow to €20 billion in value in the future. These investments to the struggling Italian economy cover ports, satellites, agriculture, and media, among other sectors. In addition, China has also set aside a provisional €15 billion in the train tunnel development plan between Helsinki and Tallinn earlier this year. Chinese technology company Huawei’s investments and sponsorships in Europe worth billions of euros are also well-documented. But dealing with state-owned companies that use Chinese governmental subsidies to their advantage will inevitably come with potential risk factors. Estonia’s Prime Minister Jüri Ratas, for instance, has called for a security review of the FinEst Bay Area project. Moreover, during his recent visit to Central Europe and Brussels, US Secretary of State Mike Pompeo sounded alarm on EU member states conducting business with Huawei on the company’s 5G technology in particular, which the US administration has identified as a security risk. Washington has suspected the Chinese government could use Huawei technology for spying, although it has so far not provided public evidence to support the claim. Like Germany earlier this month, the European Commission resisted the calls to issue a blanket ban on Huawei in its new Cybersecurity Recommendation published on Tuesday 26 March. Instead, the European agenda-setter decided to ask the national capitals to run risk assessments on 5G network technology and to collaborate on common EU-wide measures before auctioning spectrum bands. Many member states – notably France, Italy, and the UK, are yet to update their 5G security requirements. China’s strategic investments around Europe may in the long-term constitute an unsustainable burden on weaker European economies. This so-called ‘debtbook diplomacy’ allows China to use economic leverage to politically coerce vulnerable countries to achieve its strategic aims. For example, the EU has raised concerns over China’s investments in Central and Eastern Europe as a part of its 16+1 Initiative. Similarly, due to concerns over the autonomy and sovereignty of Italy, the EU’s budget commissioner Günther Oettinger recently called for the EU to veto the member state’s participation in Chinese infrastructure projects. “[I]nfrastructure of strategic importance like power networks, rapid rail lines or harbours are no longer in European but in Chinese hands”, the commissioner added. Equally important to China are the strategic investments made over the past decade which have led to its state-owned enterprises controlling around 10% of European cargo port capacity – most recently signing deals to manage Italy’s largest port in Genoa as well as the port of Trieste. On a continent where 70% of all goods crossing its borders travel by sea, this is certainly not insignificant. In addition, as a result of its carefully planned ‘science diplomacy’ and investments through the ‘Polar Silk Road’, China has been able to carve a foothold in strategically valuable locations in the Arctic. This has provided China with the opportunity to better observe air traffic and monitor naval activity in Europe’s High North, as well as tighten its grip on the global rare earth materials market. There is always a possibility these acquisitions will be used for non-civilian purposes later on. The EU is in need of an updated common China strategy. (This applies equally to NATO, as pointed out here by Carnegie Endowment’s Erik Brattberg.) Although the nature of rhetoric has shifted since the EU’s 2016 Elements for a new EU strategy on China, the continent remains divided on its attitudes towards Beijing. For example, the southern member states have been critical of Brussels and the northern member states’ complaints about the scale of Chinese investment, given that many of them were pushed to sell prime asset during the height of the eurozone crisis. The combined impact of slow economic growth and the EU’s failure to maintain economic solidarity has also resulted in a situation where member states such as Italy are considering selling debt to China. This has understandably raised concerns in Brussels regarding the possibility for China to establish political leverage over Rome. Calling for China to deliver on World Trade Organization (WTO) reforms regarding subsidies and technology transfers is not enough, when the EU cannot do it as one voice. Effective implementation of common screening regulation for FDI is one thing, but the EU must also improve its own practices on strategic investment to support many areas that now feel the need to turn to China due to lack of investment. Increasing EU investment on infrastructure and industry is important also from the perspective of sustainable development. This is, however, not to say that the EU should become adversarial towards China or ban Chinese investments as a security risk altogether. 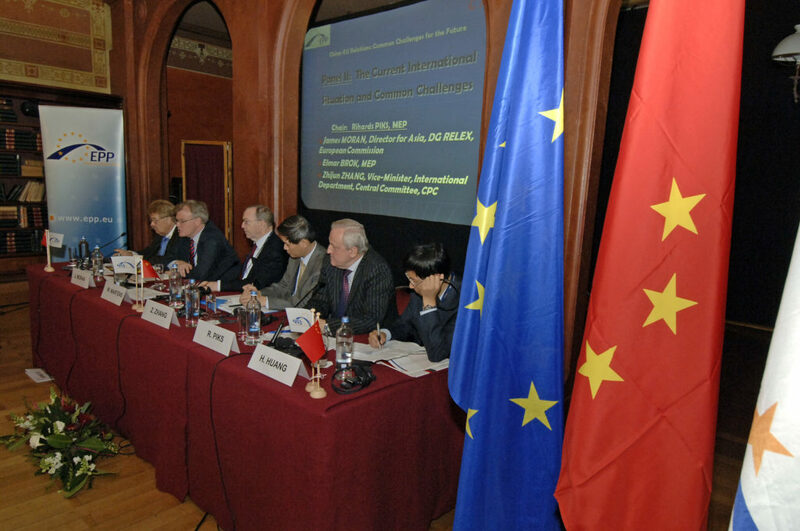 It is to support what the Commission has already stated: ‘Neither the EU nor any of its Member States can effectively achieve their aims with China without full unity.’ It is highly important that member states ensure their bilateral relations with China comply with EU law and policies, while the EU aims to deliver a more balanced and reciprocal overall trade relationship with Beijing. A united EU can expect to wield some leverage in trade negotiations as China’s largest trading partner, but this should not be overestimated. China is adept at pitting Europeans against each other (not to say Europeans would not be good at it on their own). Thus, without a common strategy, the EU simply cannot push for the reciprocity in economic ties and advances in human rights it so desires.